The authorized dealer has released Samsung Galaxy S7 in Nepal in 9th March 2016. S7 comes with 5.1 inch super Amoled Display with 1440x 2560 resolution which features force touch with TouchWIZ UI. The set is 142.4 mm high, 69.6 mm wide and 7.9 mm thick and it weighs 152 gm. The set supports Nano Sim. The set comes with Corning Gorilla glass 5 and is IP68 water and dust resistant. This set comes with 4GB RAM. 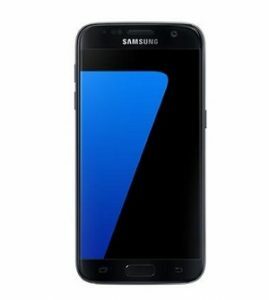 You can choose from S7 with 32 GB and 64 GB Memory which is expandable up to 200GB via use of Micro SD card. It comes with 12 MP f/1.7 rear camera while it has 5 MP front camera and it supports dual video call. The set supports 2G, 3G, 4G LTE, HSPA and GSM Network. It uses v4.2 Bluetooth for connectivity. The set features Fingerprint, Retina Scanner, Gyro, OIS, Auto HDR, Accelerometer, Heart Rate and other sensors. The battery used in Galaxy S7 is 3000mAh and it is of Non- Removable type. It is available in Black, Silver, White and Gold Colors.